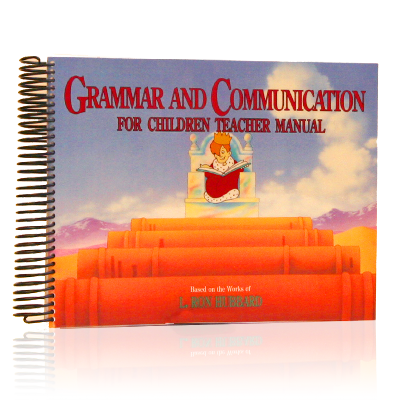 This teacher's manual contains the step by step instructions and lesson plans on how to guide students successfully through studying the Grammar and Communication book for maximum retention and application. An understanding of grammar is essential to successful study. Grammar and Communication helps the student to learn English grammar not as a series of rules, but as a means to communicate exactly what you want, as well as to understand what another is communicating. 3rd-grade reading level and above. Fully illustrated.